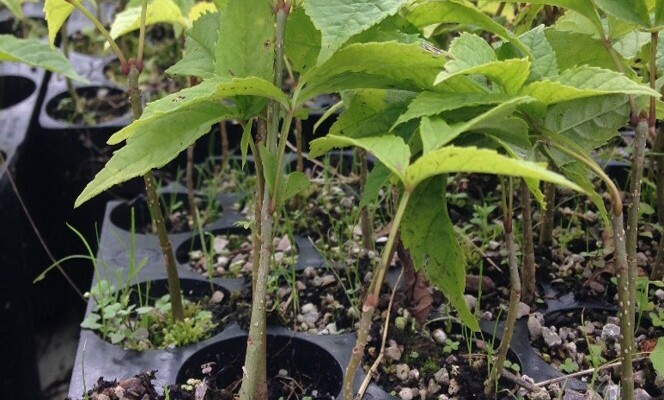 Wisqoq – Black Ash conservation, recovery and sustainable use. 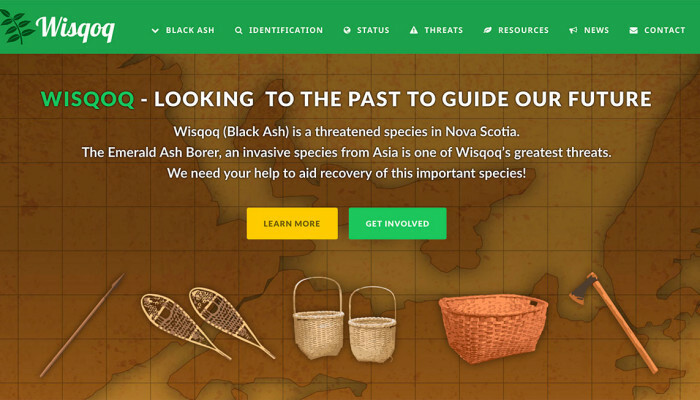 Wisqoq (Black Ash) is a threatened species in Nova Scotia. 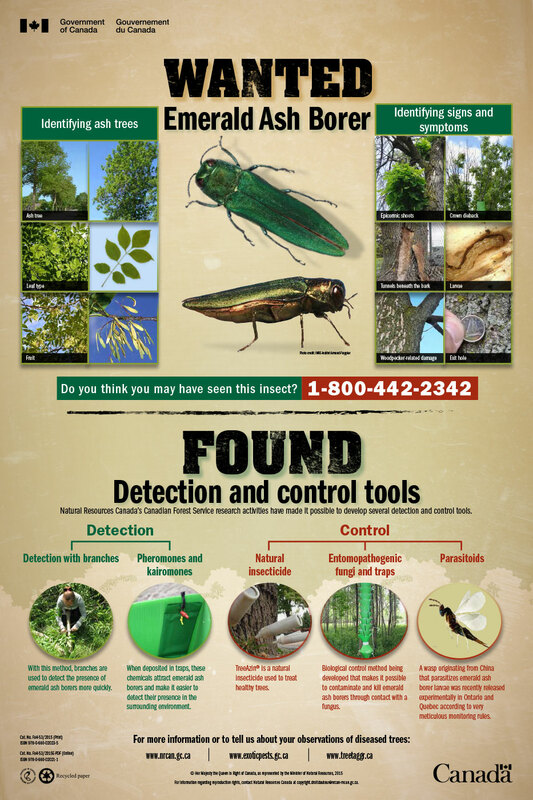 The Emerald Ash Borer, an invasive species from Asia is one of Wisqoq’s greatest threats. We need your help to aid recovery of this important species! Wisqoq, or Black Ash, has always been important to Mi’kmaw people who use the tree to make baskets, snowshoes, canoes and axe handles. 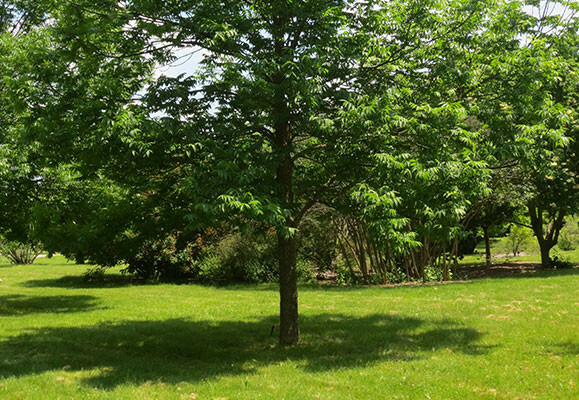 How to identify a Black Ash tree? You can identify a Black Ash by looking at the leaves, bark and overall shape of the tree. See our image examples and identification guide. What are the current threats? The Emerald Ash Borer, an invasive species from Asia, has rapidly expanded throughout Ontario and Quebec. It is one of Wisqoq’s greatest threats. Games, colouring books & more! 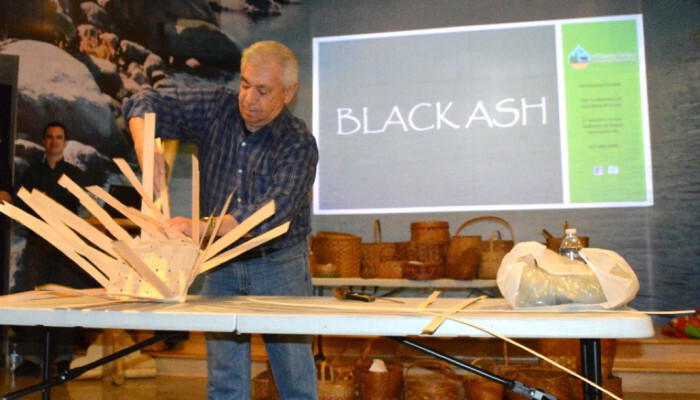 Wisqoq, or Black Ash, has always been important to Mi’kmaw people. Baskets and axe handles were made with Wisqoq and sold or traded for goods. It was common for basket makers to go from community to community selling their baskets. Today these traditions live on as Elders share their knowledge with youth. The Wisqoq Recovery and Action Plan followed a unique process of engagement that involved Nova Scotia Mi’kmaq from the early stages of development. What can we do to protect Wisqoq? To prevent the spread of the Emerald Ash Borer do no transport firewood or other wood products from infected areas to Mi’kma’ki. Share what you have learned about Wisqoq with others. Planting new trees reminds us of our responsibility to future generations. View and download research papers on Black Ash from leading experts. 5,000 Seedlings Ready to Plant!